Mobile phones are today’s need. No one in this world can live without a cell phone. If a regular user lost his phone then his life becomes miserable and he is unable to do anything. Today cell phones connect one life to another; they have shortened the distances among people. So you can simply say that mobile phones come under the basic need of people. Samsung mobile phones: If you are the user of Samsung mobile phones then you can easily convert your incoming calls to voicemails calls and the best thing is that you will not get notifies whenever you get any of these calls. This magic can be easily done by using the BLOCK LIST of your Samsung cell or you can also download “Call Block” app on your Samsung Smartphone to block any phone number. Mobile phones of Nokia: Nokia is in mood of giving treats to their users by launching it’s new version Windows phone 8 Smartphones like Nokia Lumia 820 and 920 but in case of blocking the number, their users have to take the help of internet as they have to first download the blacklist application from the internet and then insert the unwanted number into it. For this they must have some space either in their phone or in SD card. Users of iPhone: These users have to do little investment to get rid away from these calls. By doing this investment they can download the required blacklist app (which is not free) and then they can keep away thousands of unwanted callers. It is true that there are already so many mobile apps available in the the Apple Apps store but it is really worth to spend $1.99 for an app that can help you in blocking all the annoying calls that come from telemarketers or other pesky people. 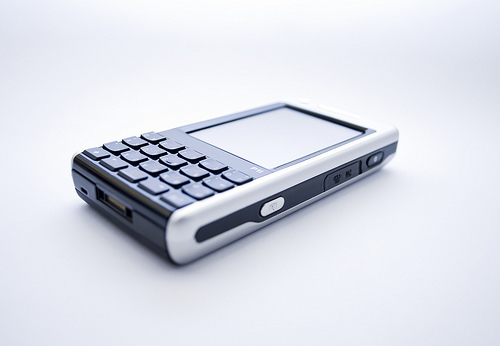 Sony-Ericsson: Sony-Ericsson users need not to do much effort. For blocking any number, just go to Settings > Calls > Manage Calls > Accept Calls > Only from list, press ‘Edit’ to choose the numbers. That’s it. In this method of blocking a number you have to simply register your cell number to NDNCR i.e. National Do Not Call Registry. Either you are residing in India or outside it, after registering your number on NSNRC you will not receive calls from telemarketer as it will become illegal for telemarketer to call you. If your cell phone supports YOUMAIL then you can block numerous calls. By this you can deliver any message to the calling person and that person is also not permitted to leave a voice mail for you. If you are the user of Apple, Android, Blackberry or iPhone then this service have differentiated apps for you. This is most easier way to avoid annoying calls. For this, just download a Blank Ringtone and set this as a ringtone for all those contacts whose calls you don’t want to pick up by moving it to your SD card if you are using any Symbian or Android Smartphones. When you set this blank ringtone for those specific contacts then whenever they call up you, you will not hear it and eventually they get tired of calling you. Trapcall is famous for unmasking the blocked calls made by pesky person on your mobile phone. Though, it is a premium service but it is quite capable for the price you pay no doubt about that. As it not only unmasks the restricted calls but also records your incoming calls. The best part of Trapcall is that, you don’t need any software to download on your mobile phone. Currently, it supports AT&T, T-mobile, Verizon and Sprint.